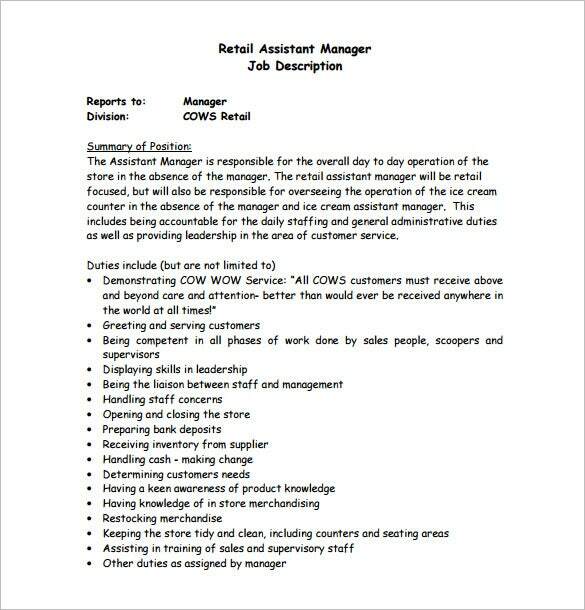 Retail Assistant Manager Job Description Free PDF Template very clearly mentions a brief account of the position and the duties the organization is looking to hire. 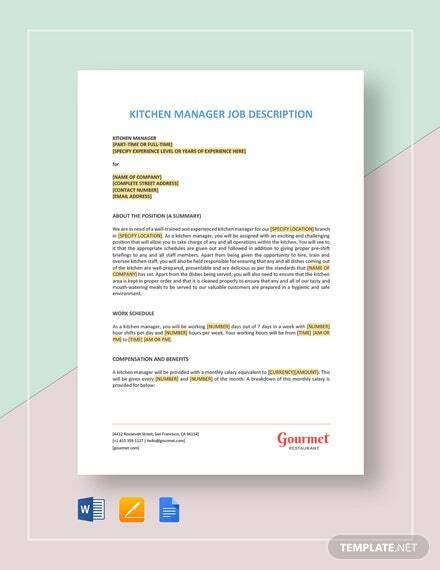 This template makes your work easy and you will be able to get only the right people who matches the criteria of the details come forward to apply for the position. 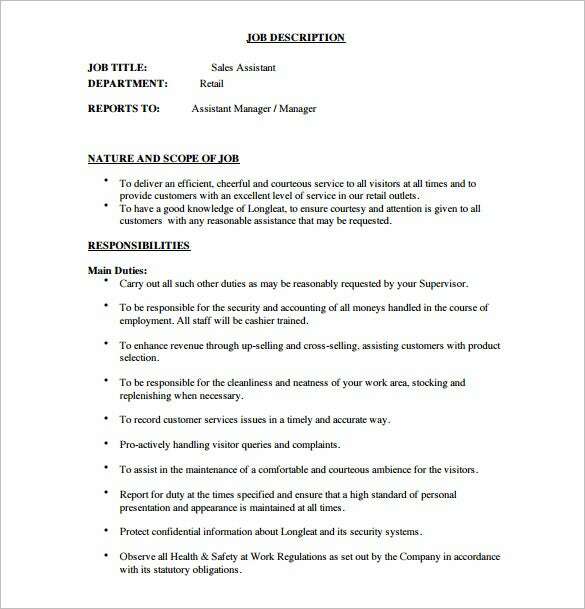 Front Office Assistant Manager Job Description Word free template is the right choice to pick up if you want to describe in details all your requirements, details of the job, responsibilities and duties very clearly at one go. This template makes very fair for your organization to hire the best candidate. 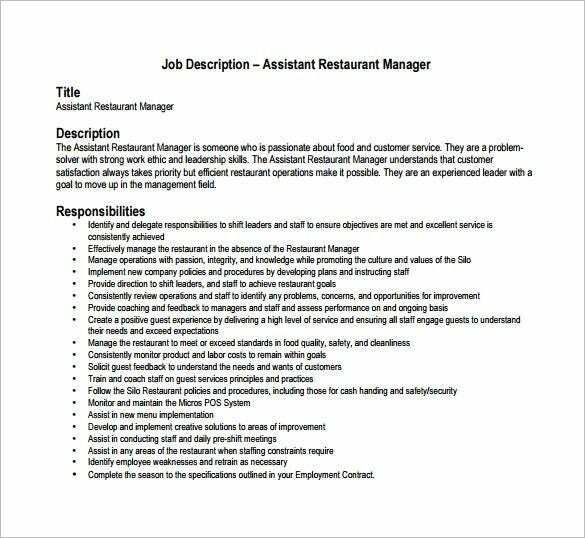 Assistant Restaurant Manager Job Description PDF, which is available for free download provides in details the description of the restaurant, rules etc. It also includes the responsibilities and the task the position needs to target and achieve with the existing and new customers and to the staff to achieve more opportunities for improvement. 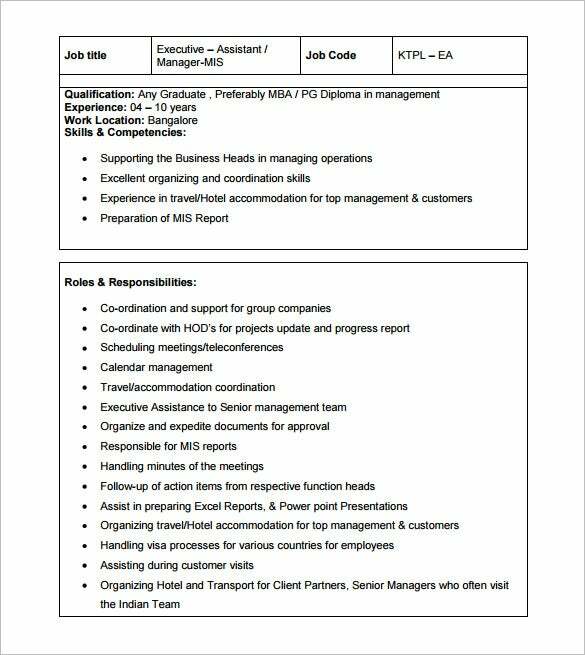 Hotel Assistant Manager Job Description PDF free download, provides details and general survey of the organization and the requirement of the position of the Assistant Manager. It also includes the ultimate degree of duties and responsibilities to meet by the person in that position. Therefore, with this readymade template, all the phase of hiring the right candidate met. 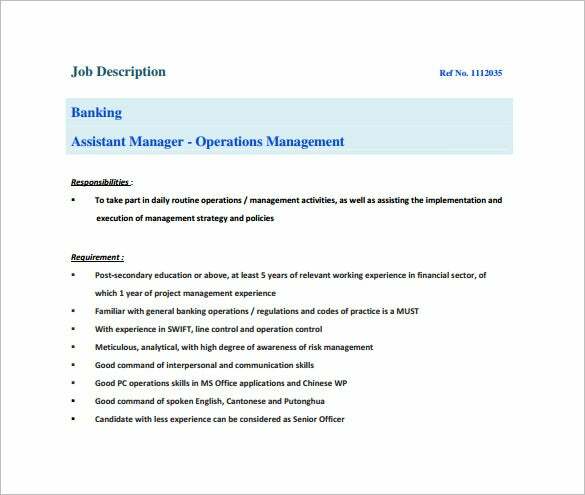 What are the Top Uses of Assistant Manager Job Description Templates? 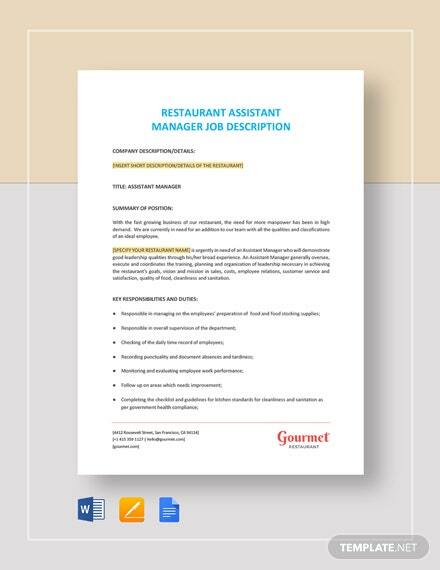 With the availability of several templates in PDF, Word formats for Assistant Manager Job Description already described in details, one need not have to waste time to draft fresh templates from scratch. 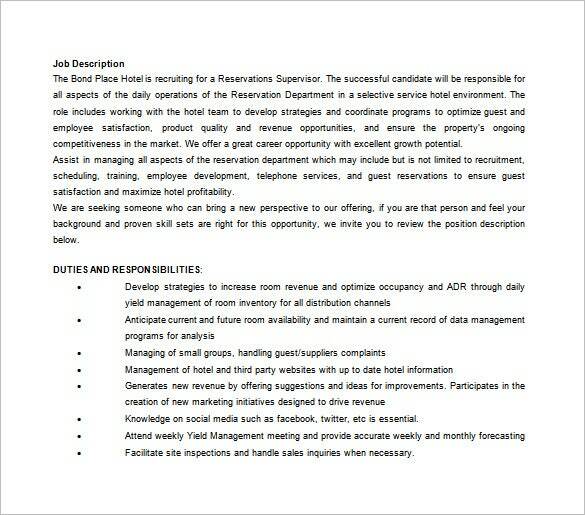 These templates save time and energy to hire the right person for the required person, no matter the size of the requirement. These templates will guide you exactly what you are looking for in those candidates and simultaneously the candidates will be clear as to what they are going in, rules, overview, responsibilities, tasks, targets and goals etc. All you have to do is select the best template, download and ready for hiring process. 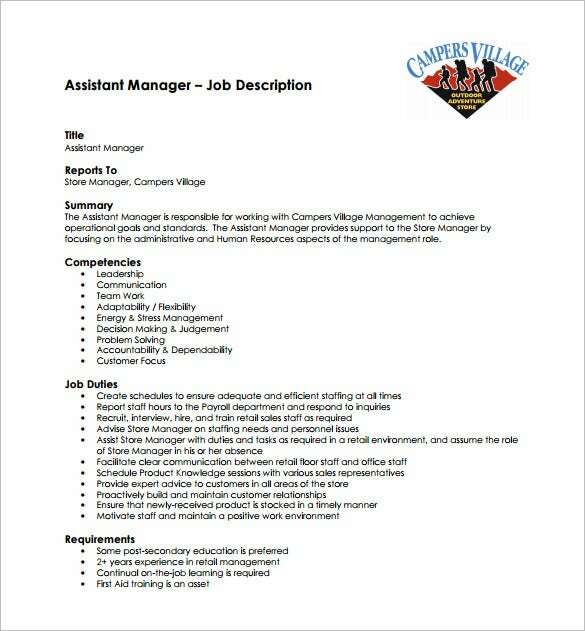 Who all Can Use Assistant Manager Job Description Templates? 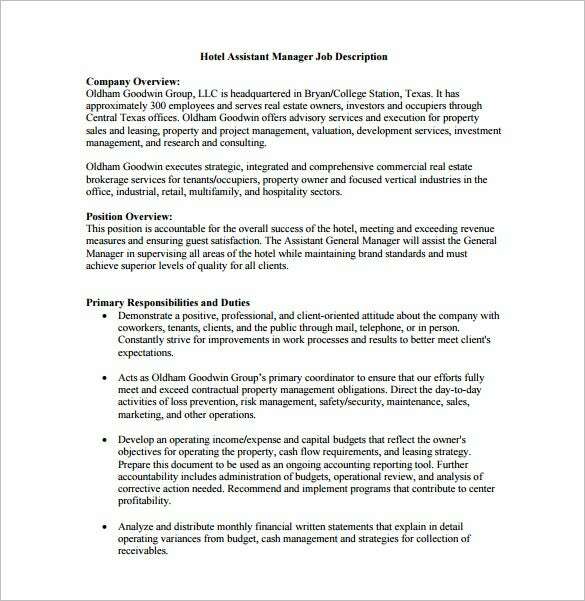 Assistant Manager Job Description Template works best for Organizations, big and small, own business professionals. Having templates, which already describes the duties, responsibilities, tasks etc, what you look for in a candidate save enough time for you to concentrate on other important things to do as employees. Such templates rub off many unimportant scribblings from mentioning in the list and help you dig deeper into the important ones required. Use these templates and you do not need to start from scratch. That way it will appeal to a number of right candidates which results only in getting the candidates who are qualified for the job. 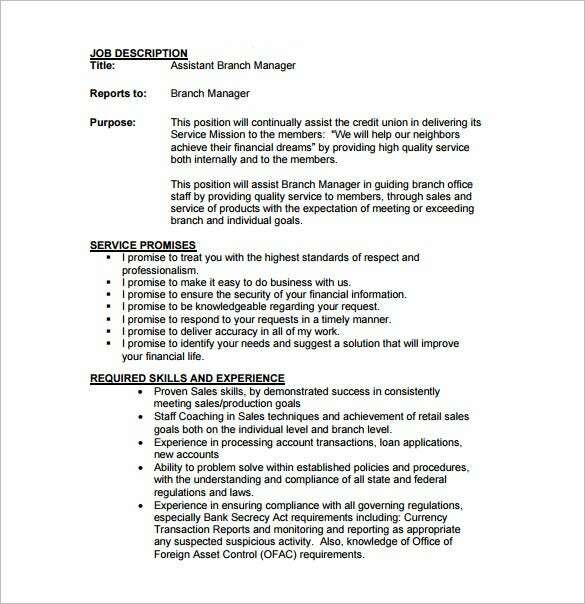 What are the Benefits of Using Assistant Manager Job Description Template? 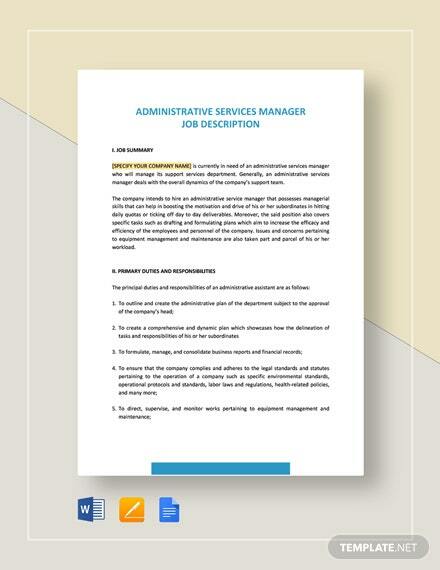 The benefits of using Assistant Manager Job description templates are many. They save you money, abundance of your precious time, help you create the perfect job, you can also modify, edit and add some extra points in the list. The templates provide in details what skills, responsibilities and duties the candidates have to perform. 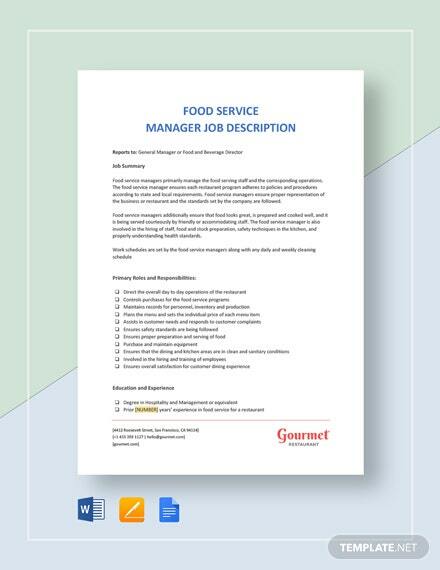 With the help of these templates, since such templates include search relevant contents, within minutes of posting it, you will attract lots of candidates who are right for the Assistant Manager position. These templates also make it easy for you to communicate with the candidates in a more professional method.